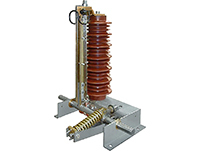 Up to 36kV normal busbars and up to 24kV double busbars | Shorttime current up to 50kA | Type tested, air insulated and proofed to internal arcing according to IEC 62271-200, DIN EN 62271-1 | Metal clad | Subdivided in the couple metal enclosed functional sections with safety pressure relief duct | All switching operations with doors closed. The new Railway-Disconnector type RIT is a further development from the existing type RGT and RNT. The indoor- Disconnector is type tested according to IEC/EN 60694 and IEC/EN 62271-102. The Disconnector is suitable to open and close electric circuits, if there are negligible low currents to be disconnected or if there is no significant difference in the voltage between the electric circuits which shall be separated or the electric circuit which shall be connected. In the open position a clear visible isolating gap will be formed between all the poles of the Disconnector. The insulation level refers to normal air conditions at sea level. For installation altitude above 1000 m consider reduction of insulation level. Primarily the Ritter On-Load Disconnector was designed for the new Underground in Munich for the Olympic Games 1972, but this was only the starting point to a worldwide successfully story of this DC-switch - on every continent. 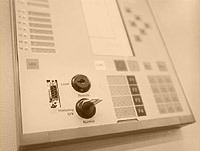 Actual there are worldwide more than 6000 pieces Ritter RGL On-Load Disconnector in use. The switch generate with his insulating distance a safe personal safety and with his switching capacity he is used as a "feeder" or "coupler" in the DC-power supply. The insulation level refers to normal air conditions at sea level. For installation altitude above 1000 m consider reduction of insulation level. 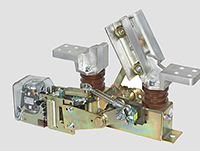 Earthing switches are designed for operator's protection and enable an easy and safe earthing. The Earthing switch ES is without making capacity, the Earthing switch EDS is tested with making capacity. 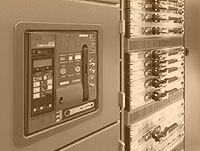 The special type "double blade system" of the EDS is because of the high electrical lifetime specialised for the use in test applications for short-circuit testing. Earthing switches for tunnels or stations can arrange in an emergency case a fast and safe earthing connection. All one- and two-pole earthing switches can be equipped with a motor drive for remote control. Disconnectors are designed for personal safety. The type tested Ritter Disconnector type HCC-GL generate an insulating distance and can operate furthermore with a high switching capacity. 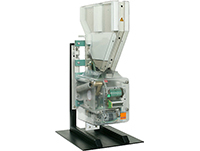 For special applications the switch can be equipped with an arrangement for horizontal arcing chamber.